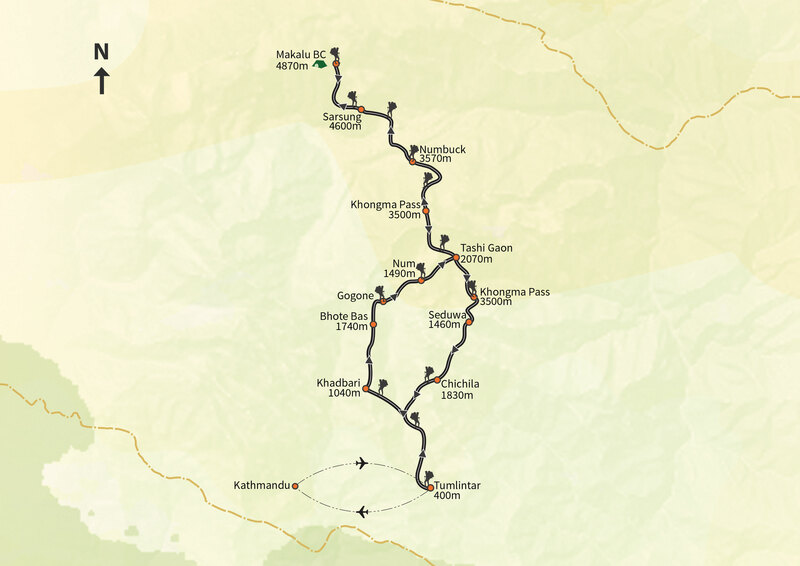 Makalu Base Camp trek lies in the eastern part of Nepal in the scenic Makalu Barun National Park and conservation area. The base camp itself lies at an altitude of 5000m above sea level. Mt. Makalu (8463m) which is regarded as 5 th highest mountain of the world is one of the main attraction of this trek with amazing views of Everest (8848M), Cho Oyu (8152m), Lhotse (8516m), Makalu (8463m) and Ama Dablam(6456m). Due to the challenging nature of the trek and the remote location, the trek sees limited tourist. 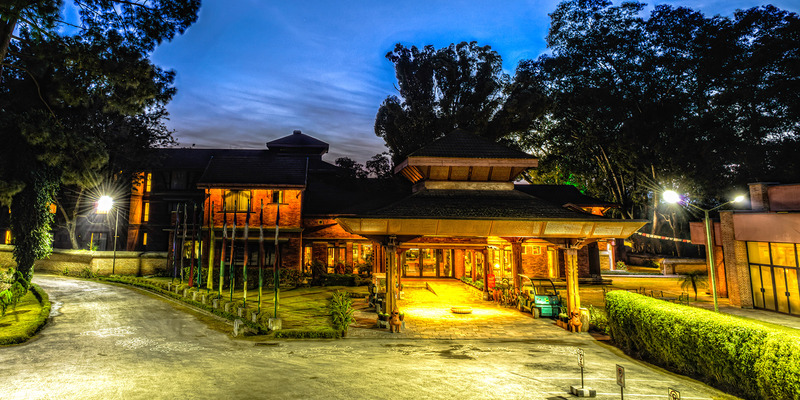 Experience staying in a mountain tea houses will help to relax our mind and soul. Visit village of Khumjung the school which has been established by Sir Edmund Hillary. The program will be - the Patan and Bhaktapur Durbar Square monuments with their wooden pagoda-temples, the Bodnath or Swayambhunath’s Buddhist sanctuaries and Pashupatinath Hinduist one where the cremations occur, not to speak of the many temples spread about along the crowded and busy streets of the antique city. The trail becomes a ridge walk to Khadbari. 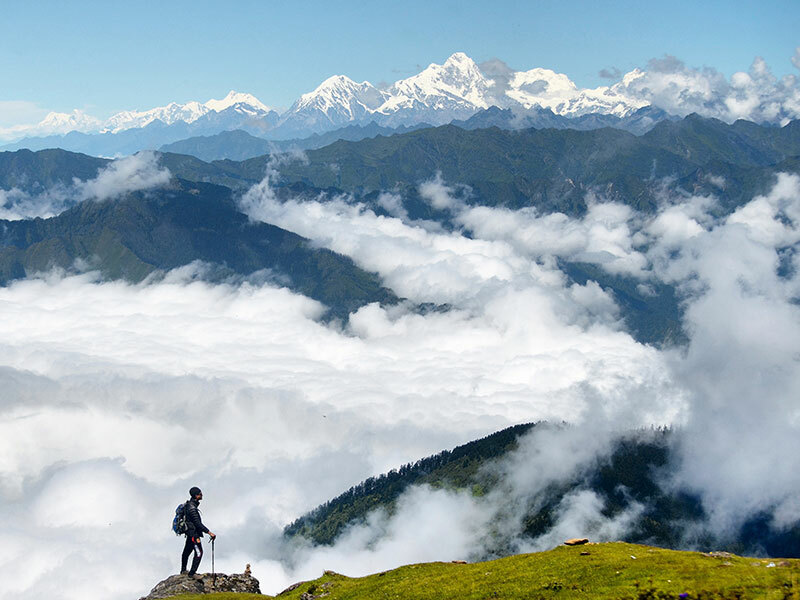 The cultivated fields disappear as the trail climbs to a pass at 1850m that offers a spectacular view of Chhamlang, Makalu and Jaljale Himal. The trail goes through forests of huge rhododendrons then below Mure passes many tracts of burned trees. The route descends on a rocky eroded trail to Num, situated on the ridge above the Arun river. The trail descends steeply through the corn fields of Lumbang then drops very steeply through jungle to a suspension bridge over the Arun river at 660m. From here it climbs through rocky fields to Seduwa. It makes a gradual climb through forested areas. It is a tough day on a steep trail through forests to Unshisha, a tiny meadow at 3300m. Then the slope gets steeper along a ridge over a hillock. The trail climbs on steep switchbacks to a ridge. 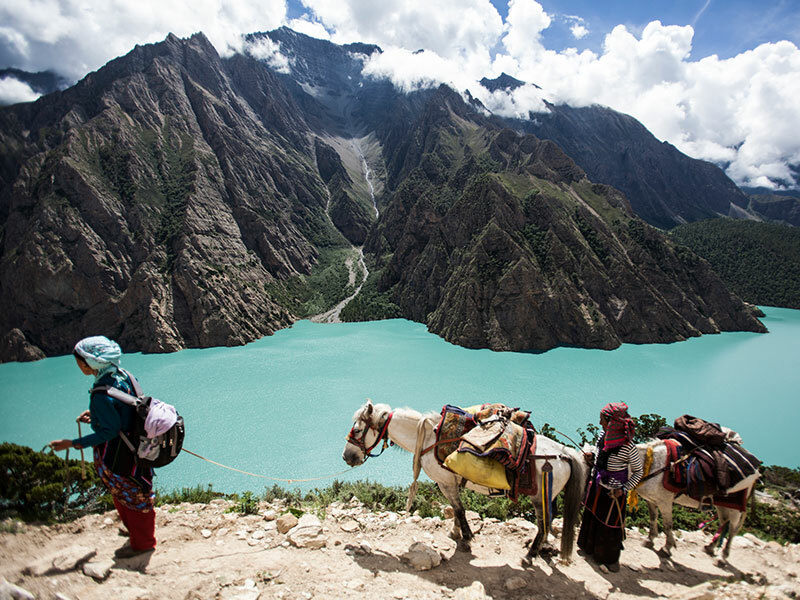 It reaches the Kika La at 4127m then descends to a lake before ascending to a second pass, the Tutu La. From there it descends through forests to Numbuck. It is a long day because there is no suitable camp between Nay Kharka and Sarsung. The trail gets closer to the Barun Khola. After crossing it, the trail climbs alongside a moraine of the Barun Glacier with views of Pyramid Peak. Then it enters an alluvial valley and Makalu pops out into view just before Sarsung. It is a gradual climb to a minor pass then it descends crossing on boulders to the B. C. There are wonderful views of the south face of Makalu. 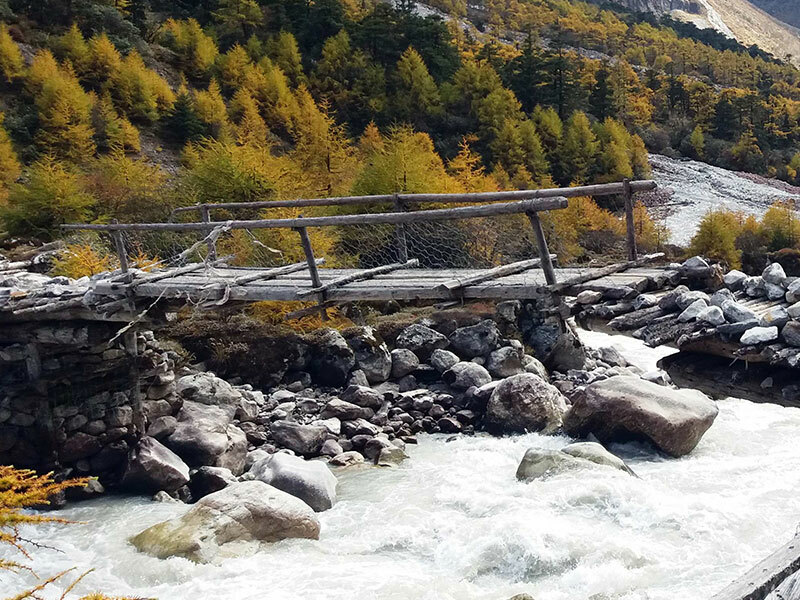 From the school the trail descends steeply to a suspension bridge over the Arun River at 660m then climbs steeply to Num situated on a ridge. It still climbs to Fururu through forests of huge rhododendrons then goes down to a campsite at Chichela. Depending on your flight time, our airport check in is 3 hours prior to the departure time and the hotel checkout time is 12PM. 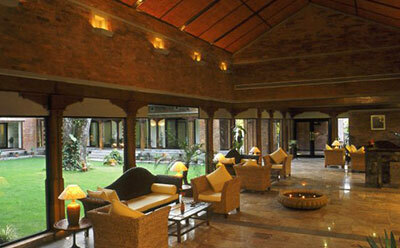 This tour spends four nights in a hotel in Kathmandu and fifteen nights on the trek in tents on sharing basis.